You can't phone home for this question -- the answer has to be yours. Would you rather travel through time or travel through space? Explore limitless frontiers while writing science fiction. Give your students practice bringing their stories to life as they write realistic fiction! This spooky writing activity will introduce your kid to list-writing: a great way to practice sentences and sequential events. 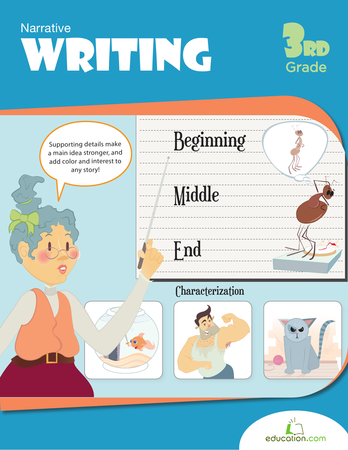 Use these paragraph topic prompts to help your child practice writing a paragraph. Practice sentence writing with these prompts, perfect for struggling writers. Real-life connections are made in this realistic writing lesson. 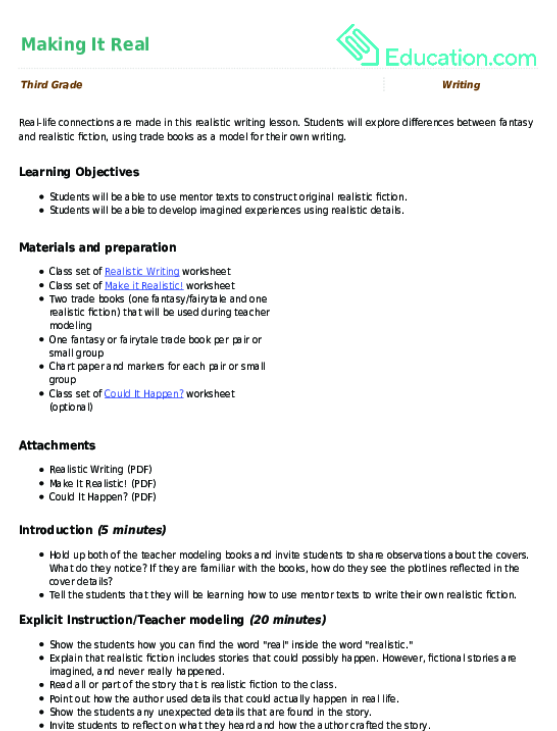 Students will explore differences between fantasy and realistic fiction, using trade books as a model for their own writing.